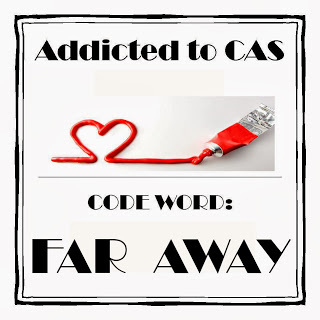 Yes that’s right time once again for a new challenge over at ATCAS and what a challenge we have for you ! 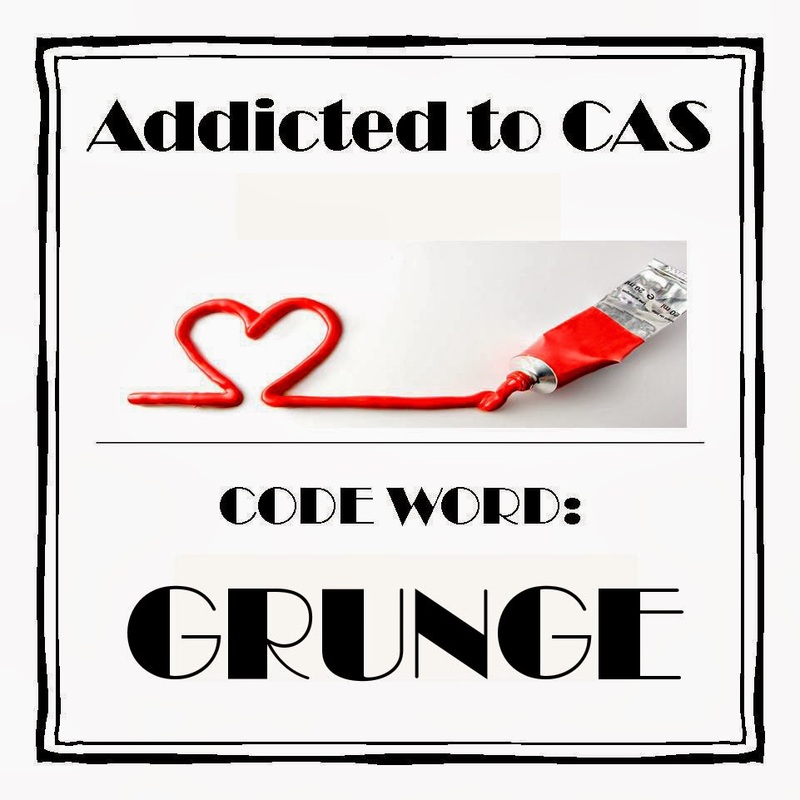 Our fearless leader Smiley Kylie has a very challenging and interesting code word for us all. So many different ways to go with this one and the DT have made some astonishing cards, I was really blown away by their creativity and when I saw what everyone else made I nearly threw mine in the bin but hey ho you can only do what you can do ! Our leader Kylie is currently swanning round europe enjoying the trip of a lifetime. Last week she was in London staying with Sandie one of our team members from ATCAS and meeting up with some of the other lovely ladies. She is currently in Spain with my mate Florence from Florence and Freddie. I’ll be joining them in a few days for a week can’t wait! do hope they have left some gin for me !!!!!!!! I got really inky and messy with this one, lots of Dylusions sprayed randomly onto smooth card . I used my Cameo to make a stencil and cut the image and sentiment and lots of lovely embossing paste and there you have it. The sentiments a bit random and this card is unlikely to find a home, I mean who would you give that to right ! 7 fantastic digs to be won !! 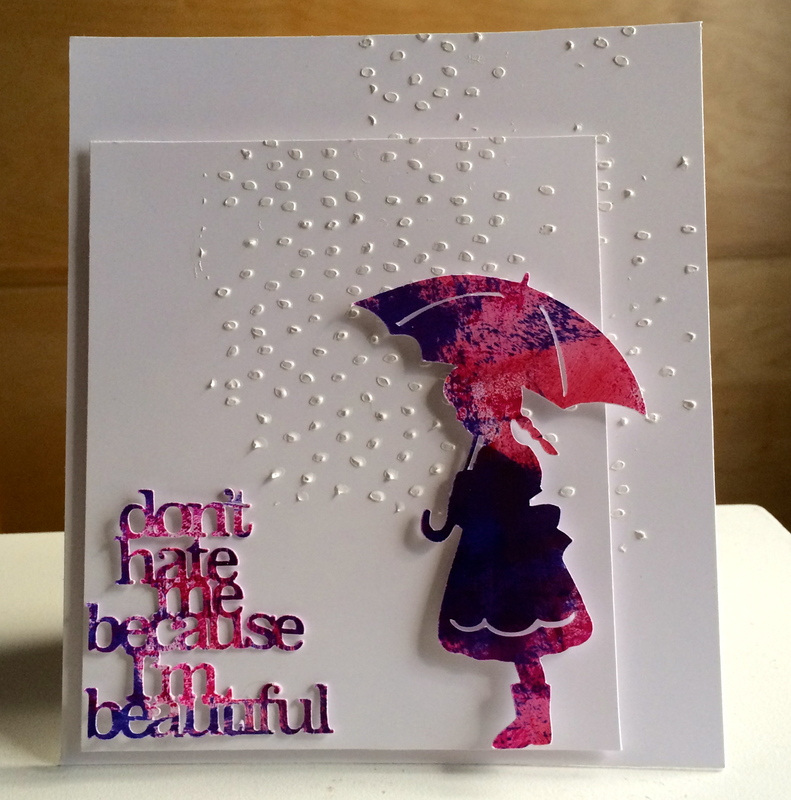 Also the lovely Anita will be sharing her last card with us as guest DT member so you don’t want to miss that ! Must dash have to go try and find myself an Abba rig out as Florence has suggested we dress us as them and go on a pub crawl in Spain !!!!! What no one else got it either !!!!!!!!!!!!!! Come on !!!!!! 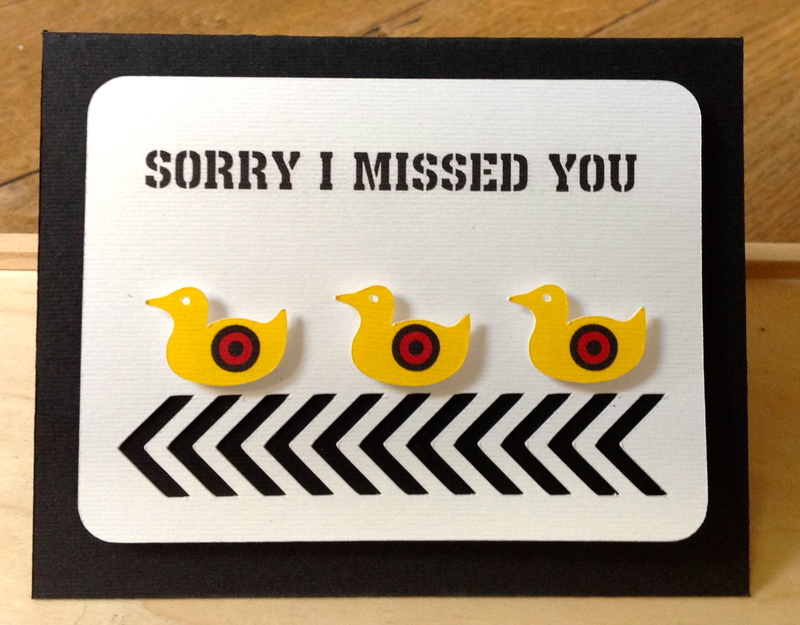 sorry I missed you….ducks …targets….arrows……ok forget it then ! Before I leave you all I wanted to give a bit of a shout out to a fabulous blogging friend of mine Florence from Florence and Freddie who has a birthday today as does my lovely mum. Florence’s blog was one of the first blogs I ever visited, not only was I blown away by her amazing talent but she made me laugh too and I’m still laughing after three years ! We have become firm friends and I love her dearly and best of all I will be meeting her in two weeks time. She most kindly invited myself and our boss the gorgeous Kylie from ATCAS to come stay with her in Spain. Kylie as some of you know lives in Australia and I live in Greece so we will all be meeting up how crazy is that !